WaleAid-X™ Bio-Remedial Absorbent introduces a new era in absorption & disposal of Hydrocarbon contaminents. 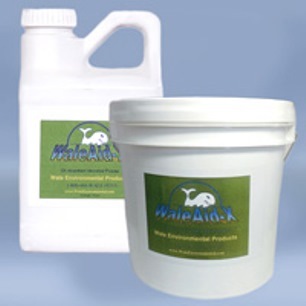 This product merges the technologies of a highly efficient absorbent with safe & effective microbes, utilizing the exciting technique of Bio-Remediation. When used as directed, WaleAid-X™ can eliminate the need for costly removal of all hydrocarbons.